As collaborators and co-creators, Oscar and Irene have been working together since 2014 when they devised Sinking Bloom, a solo show exploring the inner workings of a young artist's mind and his journey to achieve his creative potential. Make/Shift comes out of their love for making new work in a collaborative environment. Monica is a native New Yorker with a life long love affair with the arts. 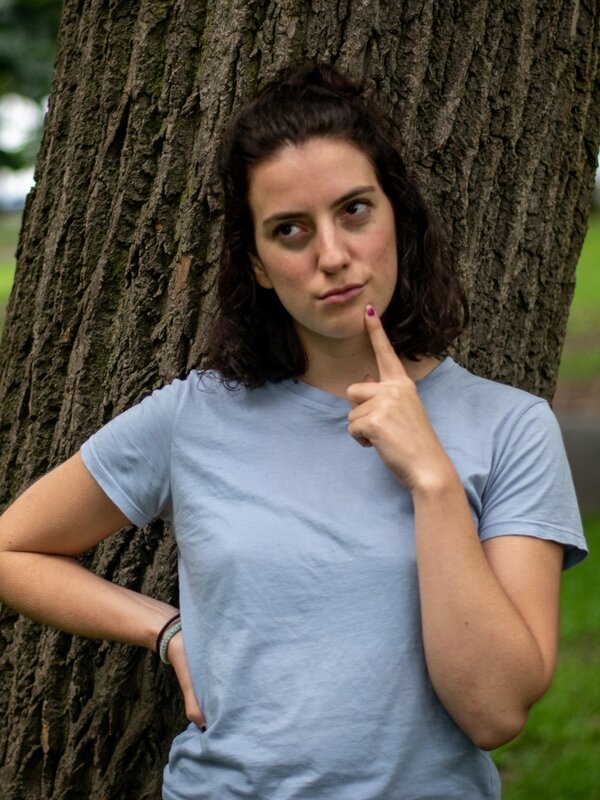 She graduated from SUNY Purchase with a BFA in Acting and has been seen at various theaters Off-Broadway and regionally, as well as on television. Monica has been a long-time supporter of Working Titles, and more specifically the Spotlight Series. Elated to be a part of the Make/Shift team, she strives to dig deep into the projects of new artists to help them nurture whatever creative endeavor they may be embarking on. Feminism is an important topic for Lizzy as she is trying to further stories by women and for women through the program, SHE Creates. Make/Shift has been monumental in supporting the work of female artists and Lizzy plans on continuing this practice. Who's with her? Joanna is a native New Yorker and aspiring architect. She grew up in the artistic world, with visual arts and dance, learning the importance of a creative mind and the power it has to change society. At Make/Shift, she continues to learn this through the members, and she wants others to be able to learn and see this idea as well. Austin Riley is an actor, playwright, and teaching artist. He's extremely proud to be able to call himself a founding member of Make/Shift. Austin has been to almost every gathering since the start of Working Titles. Every single time he thought he brought in a failure, these marvelous makers were there to listen, openly and with generosity. They often showed him not only what he could learn from that failure, but also what was successful inside those failures. He's a different artist now than he was when he started. In his time at Make/Shift, he wants people to have the opportunity to wildly succeed and spectacularly fail knowing that he and everyone else in this wonderful community will be there for them however we can to help them and their work shine. Monisha is a New York native, currently working in Los Angeles as an actress, writer and director. 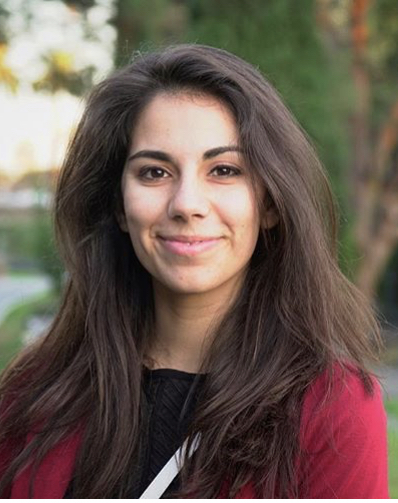 She graduated from University of Southern California’s theater and film programs and is thrilled to bring the collaborative community of Make/Shift to Los Angeles. For Monisha, finding a supportive community as an artist is a vital part of the creative process. Make/Shift has fostered a safe, productive space for creators to turn to for support and Monisha cannot wait to see what this sparks in the Los Angeles creative community. A Puerto Rican transplant in LA. Claudia is an actress/playwright/producer who love cheese more than she should. When living in New York, Claudia became a part of Working Titles and has been a member for almost 2 years. In this group, she found the motivation and direction to finish her play, As We Let Go, which was eventually produced in Brooklyn, NY. Recently having moved to teh west coast, she is helping in the development of Working Titles in LA. She aspires to be able to spread that same excitement and safe environment she found in NY here in California. Born in Whitestone, Queens to a litter of three, Eugene was adopted by Irene and Oscar when he was only five weeks old. Since he was a kitten, Eugene was never afraid to be curious and learn new things. In his own mischievous way, Eugene is a creator, an adventurer, and a sage. He’s participated in several Working Titles and made a special appearance during Claudia Rivera’s Spotlight Series, where he wanted to test his limits by attempting to jump out a window. For Eugene, Make/Shift is his home and his place to be free in his own wild imagination. Get the latest updates on all our programming and events by signing up for our newsletter. Working Titles Spotlight Series Shop Productions Summer Jam Sessions SHE Creates.